Today the Bank of England announced an increase to the base rate of 0.25%, making the new rate 0.75%. The last base rate increase was in November 2017, nine months ago. What will this increase mean for your buy-to-let portfolio? If you've got properties on a standard variable or tracker rate though you'll likely see the result of this base rate increase quite rapidly. For every £100,000 of interest only mortgage, a rate increase of 0.25% will cost you an extra £21 per month (£250 per year). You can use our free re-mortgage buy-to-let profit calculator to see what the effect will be in your particular scenario - enter your own mortgage borrowing and the new interest rate. As a property investor you currently still get to claim some of your mortgage interest expense against tax. Thanks to the Section 24, mortgage interest relief changes, this is now rapidly reducing though. Right now, in the 2018/2019 tax year, if you pay 40% tax on your buy-to-let profits then a 0.25% interest rate rise will actually cost you 0.175% of your mortgage balance. That's £175 of extra annual cost for every £100,000 of mortgage borrowing you have. In 2020/2021 the effect will be the same for everyone as there will only be 20% tax relief on all buy-to-let mortgage interest. 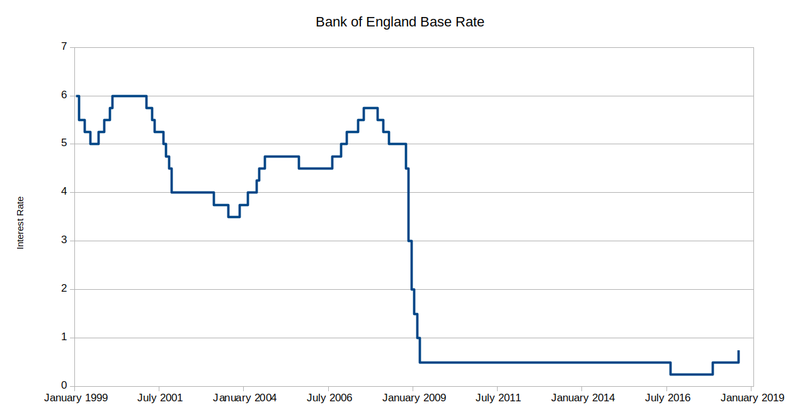 At that point, a 0.25% interest rate rise will actually cost you, after tax, 0.2% of your mortgage balance per year. Does this change your next buy-to-let deal? You can use our free buy-to-let profit calculator and adjust the mortgage interest rate to see what effect this will have on your next projects profit.